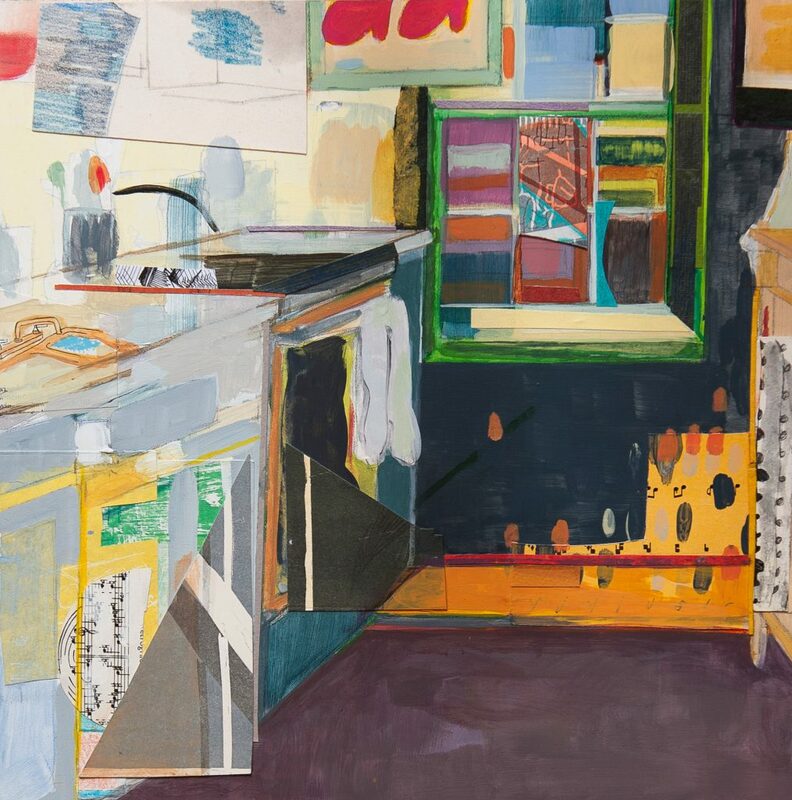 In “Kitchen View” and my current body of work, the collage begin as an observational drawing from my home’s interior. Rather than stage a grouping of objects like a traditional still life, the imagery starts with the spontaneous composition of belongings as they are found. I then develop a richly saturated, layered and imaginative collage that still maintains some of the original drawing and includes local color. After an experience cleaning another person’s residence for employment and now currently spending much more time at home caring for a toddler, these spaces occupy a unique and significant place in my visual memory bank. AtÂ home, I am engaged in a constant state of transformation, either through the humble daily activity of striving to maintain order out of entropy or imagining much more dramatic aesthetic changes. I’m certain this is a fairly common experience. With “Kitchen View,” I choose to celebrate the potential of a typical residential kitchen by sharing an inventive vision of my own. Christine D’Epiro Abbott creates works on paper, mainly drawings and collages, as well as large-scale installations. 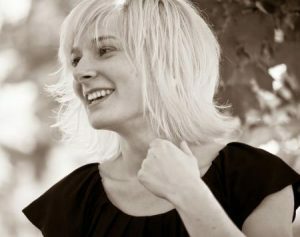 An alumnus of Columbus College of Art and Design, Christine graduated with a BFA in Fine Arts. While completing her undergraduate degree, Christine studied printmaking at the Glasgow School of Art in Glasgow, Scotland. Christine also received an MFA in Visual Art from Washington University in St. Louis. Following her MFA, Christine was an artist-in-residence for a year at the Luminary Center for the Arts in St. Louis, Missouri. She also completed an artist residency at the Vermont Studio Center in Johnson, Vermont.Â Christine has exhibited extensively in St. Louis and Columbus as well as nationwide. Her second passion is teaching and she has enjoyed working with a wide range of students in order to share an enthusiasm for art making. Her work was purchased by the Hilton Columbus Downtown as part of their permanent art collection.